The role of this soap is not solely to remove dirt, but to provide the moisture that your skin needs while removing impurities. The “best choice for clean, natural skin” is truly Arsoa Queen Silver. 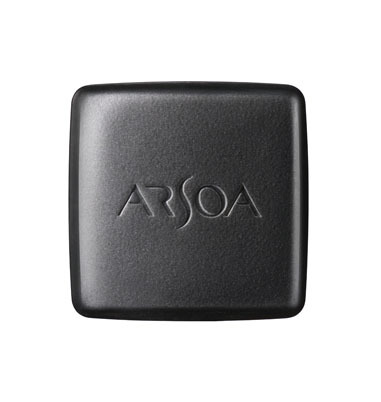 Each bar of ARSOA Queen Silver may last 3-4 months (when used solely for facial washing; your usage may vary). This means it only costs approximately $13 to $17 per month. The case is sold seperately. The role of this soap is not solely to remove dirt, but to provide the moisture that your skin needs while removing impurities. The “best choice for clean, natural skin” is truly Arsoa Queen Silver. Each bar of ARSOA Queen Silver may last 3-4 months (when used solely for facial washing; your usage may vary). This means it only costs approximately $13 to $17 per month. 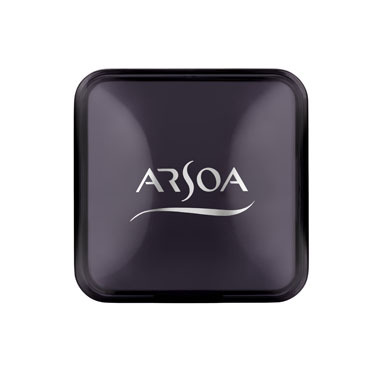 ARSOA Queen Silver completely removes makeup and dirt without impairing moisture crucial for the skin. Mineral ingredients (sedimentary rock, igneous rock) and charcoal are blended together, allowing the soap to completely cleanse your skin gently and lustrously with a fine lather, without any tightness. With natural moisturizing ingredients like sucrose and honey, Queen Silver hydrates your skin while you wash.
Each bar of Queen Silver is handcrafted over a period of up to 70 days. 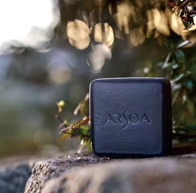 In order to capture the power of nature, we knead key mineral powders into ARSOA Queen Silver soap. However, ingredients that contain minerals (such as sedimentary and igneous rock) are heavy and end up sinking to the bottom in production methods that use machinery, and they do not mix evenly. Through extensive research, ARSOA determined that the optimal method is to produce Queen Silver by hand. Thanks to this manual operation employed by skilled craftsmen, we have succeeded in kneading in the important mineral ingredients in a balanced fashion. Lather up fully, and wash gently without pressing too hard against the skin. Get in the habit of washing your face twice per day, once in the morning and once in the evening, to keep your skin clean. Arsoa Queen Silver may be used it on the entire body as well. Completely drain away the water after use, and keep in a place with good ventilation with low humidity. Arsoa Queen Silver can be kept for extended use.